Mumbai based crowdfunding platform Wishberry is offering indie filmmakers an innovative shot at raising funds for their films through crowdfunding, a concept that has gained substantial traction in the west. 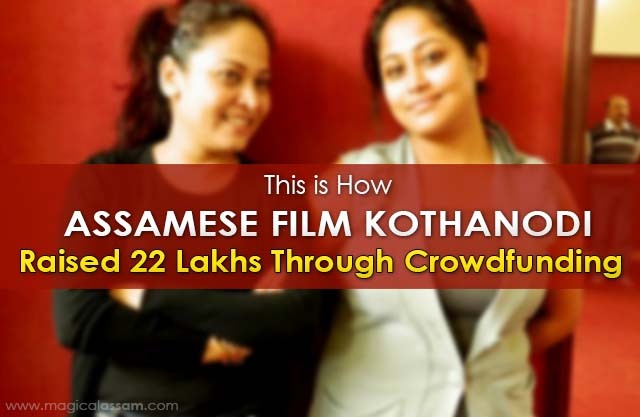 This is the concept where Bhaskar Hazarika’s Assamese film Kothanodi also raised Rs. 22 lakhs last year which become one of Wishberry’s most successful campaigns. Wishberry has a community of 9,000+ funders across 50+ countries and a campaign success rate of 75%. Creative projects account for 70% of funds raised on Wishberry so far, of which music and film alone account for 50%. Wishberry is a new risk-free way to give your creative and innovative ideas a shot. It draws on the power of communities in backing your ideas. Not for financial return and definitely not for charity. But to be a part of a community that brings your ideas to life. Ideas in the following areas can raise funds on Wishberry – ARTS, FILM, MUSIC, THEATRE, PUBLISHING, TECHNOLOGY, APPS, DESIGN & GAMING. How does it work on Wishberry? 1. Submit your project on Wishberry, after reading the project guidelines. 2. If you get approved, you get to start preparing for your campaign page with the help of your Wishberry coach. 3. Your coach helps you prepare on your pitch video, rewards and marketing plan. 4. Once you are ready, you launch your campaign and run it for not more than 60 days. You go all out to your friends, family, fans, bloggers & social media communities to raise funds for your idea. 5. If you meet your target amount, Wishberry transfers the funds to you and you can go ahead and make your idea happen.